Peter Guagenti of NGINX, Inc.
Like most of you, my earliest experiences as a developer included diving deep into thick books with beautifully designed woodcut illustrations of animals on the cover. The O’Reilly guides to our favorite software tools are as much a part of coming up in technology as caffeine‑fueled nights and the euphoric rush of finally solving a tough technical challenge. For anyone who writes software, having O’Reilly publish a book about your creation is a true milestone. 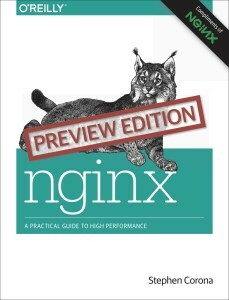 We are incredibly proud to announce that NGINX is officially joining those elite ranks with the release of O’Reilly’s NGINX: A Practical Guide to High Performance. When Igor Sysoev created NGINX a decade ago, he did not set out to create a software project that would be used worldwide. Back then, the problem of making applications fast and reliable was keeping developers and site owners up late at night, just as it still does for many today. While working at Rambler (a Russian search engine and web portal) in 2002, Igor worked to crack the C10K problem: reaching 10,000 simultaneous connections to a single web server. NGINX was the first web server software to make that possible, and it’s no surprise that rapid adoption followed after NGINX was open sourced in 2004. Fast‑forward 10 years and the world‑wide adoption of NGINX is remarkable. We now power 24% of all web servers and nearly half of the world’s busiest sites. Some of the most innovative developers are using our software to invent the digital future, and we now have hundreds of customers deploying thousands of instances of NGINX Plus for load balancing and application delivery. Helping you bring your applications to the world with performance, security, and scale is what drives us. 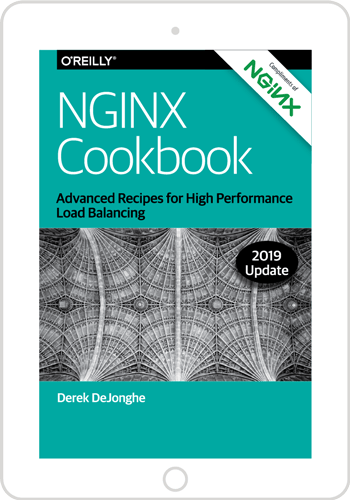 We sincerely hope that the release of this book makes deploying and using NGINX even easier, and that millions more developers will learn how to deliver the kind of user experience their applications deserve. Download a complimentary copy of the book today.